Carmen Angela Gorske died unexpectedly on November 19, 2015 at her home in Saegertown. She was born on May 24, 1989, in Kansas City, MO to Reina Lopez and Aguilar Cornejo. Carmen is survived by her husband, Ian, and her beautiful daughters – Meadow and Isabel (Squish) of Saegertown; her mother – Reina and step dad, Jorge Cornejo of Edinboro; her brothers – Oscar of Kansas City, Enerique and Aaron of Edinboro; and her sister – Isabella of Edinboro; her paternal in-laws – Randy and Darlene Gorske, of Cambridge Springs; her grandmother – Angela de Lopez; and many aunts and uncles and their families. Her husband, Ian, spoke these words “Carmen enjoyed animals and the small farm that she and I shared together. She had numerous friends locally and throughout the United States. Carmen had an unquenchable thirst for adventure, and a contagious spirit and personality. She was sure to make any occasion fun. She was an amazing mother and a devoted wife – a man couldn’t ask for any better. There are many regrets I had with us, but none of them included the time I spent with you. Rest in Peace my little love and know that our girls will be in good hands. Always know that you will never be forgotten. Say hi to Jimmy and Janice for us all. I will see you on the other side. Goodbye my love!” Ian. A celebration of her life and a tree planting at the farm will be planned for in May of 2016. 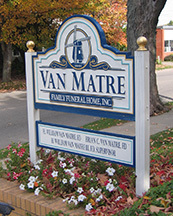 Memorials may be made to the family through the Van Matre Funeral Home, 335 Venango Ave. Cambridge Springs Pa 16403-1131.